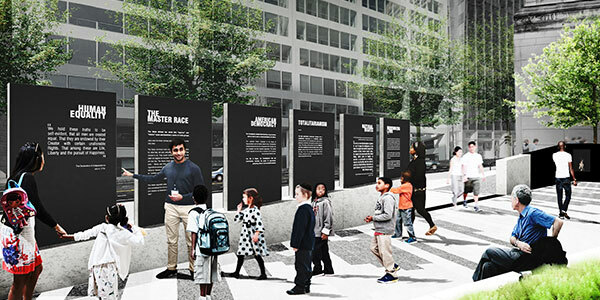 Set to begin construction at the intersection of 16th Street and Ben Franklin Parkway sometime this winter, the pillars will join artist Nathan Rapoport’s “The Monument to Six Million Jewish Martyrs” already located at the plaza. 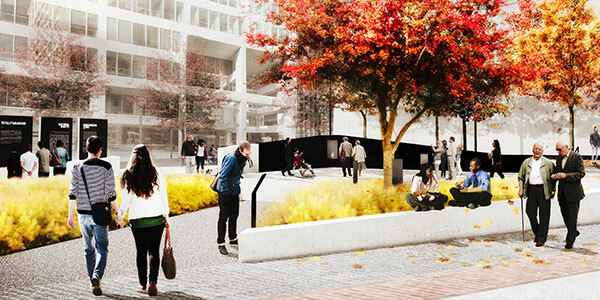 An Eternal Flame and a black granite Remembrance Wall will also be installed. 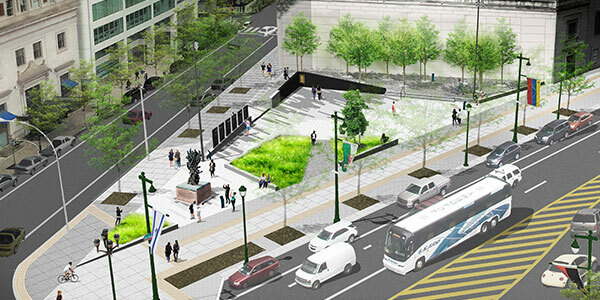 As announced last year, the plaza’s pavement will be designed with train tracks to represent the tragic reality that holocaust victims endured – that of being herded onto trains and sent to labor and death camps. The tale of that tree, named for the Theresienstadt concentration camp near Prague, says that a teacher who was imprisoned at that camp, Irma Lauscher, planted a sapling in the children’s area of the camp to celebrate the Jewish tradition of the New Year of the Trees, or Tu B’Shevat. The children housed in that concentration camp are said to have shared their daily portions of water with a small sapling. That tree still stands today.